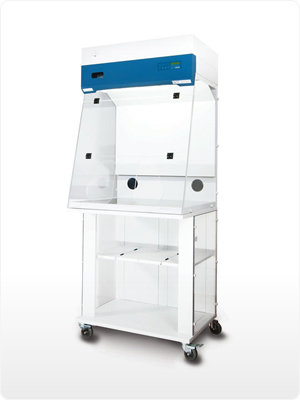 Probably the most technologically advanced low-cost ductless fume cabinet in the world, the Esco Ascent Opti Ductless Fume Cabinet can be enjoyed at an economical cost and is equipped with features previously found only on high-end ductless fume cabinets. Certified to AFNOR NF X 15-203, BS7258, BS7989. Models include the SPB-2A1, SPB-2A2, SPB-2A3, SPD-3A1, SPD-3A2, SPD-3A3, SPD-3B1, SPD-3B2, SPD-3B3, SPD-4A1, SPD-4A2, SPD-4A3, SPD-4B1, SPD-4B2 and the SPD-4B3.